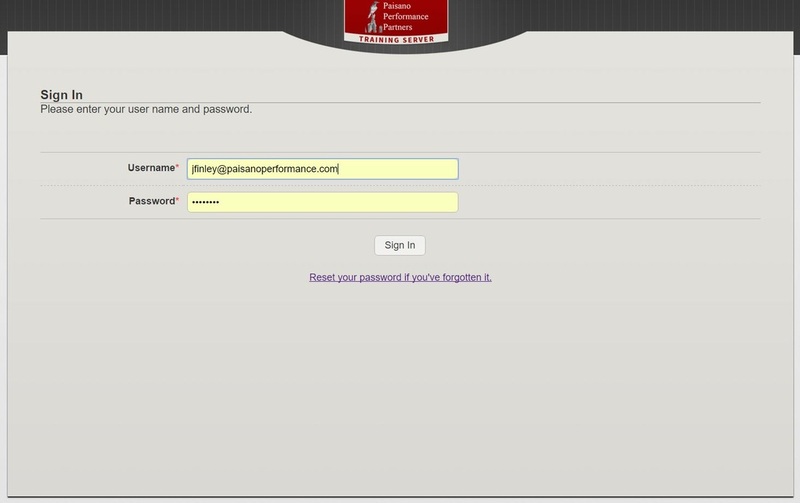 Managers access the Performance++ software from any internet connected computer for real time updates. Notations to a file and evaluations can be completed from anywhere, at any time. 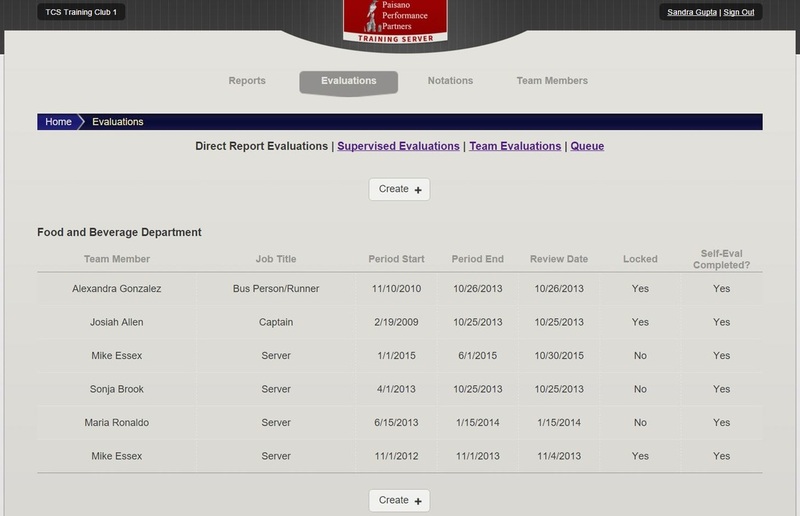 Check on training assignments, add notations and complete reviews for all team members from one, convenient location. Performance documentation remains organized and accessible if needed. 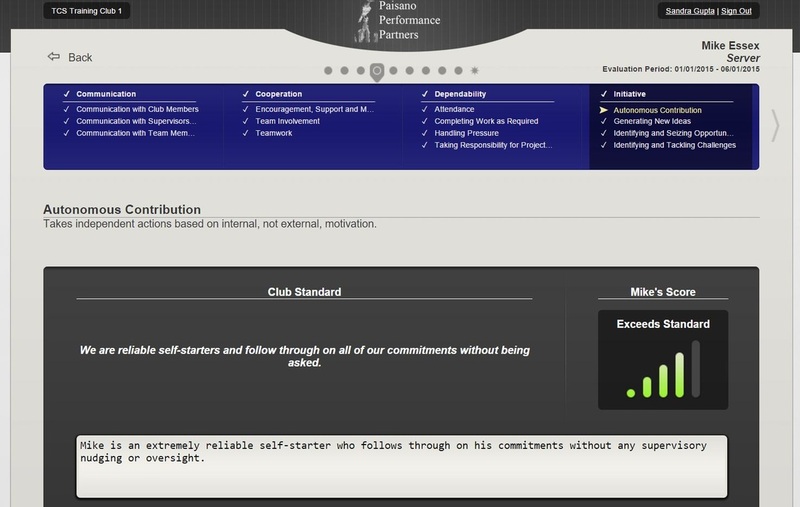 Accept pre-defined competency criterion or develop your own to achieve specific club goals. Now you can tailor the process to maximize results. Schedule Periodic Check-ins with your team members and watch their performance soar! Drive Performance and Develop a Winning Team.